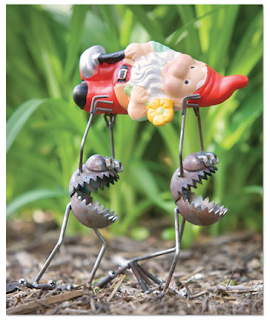 If you find the humor in these mouthy little aliens carrying off a garden gnome, then you'll probably like some of the other clever items in the Wireless Catalog and its sister, Signals, both of which are loaded with self-proclaimed "Gifts that Inspire, Enlighten, and Entertain." 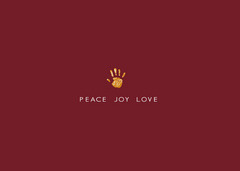 If you want to add some meritorious miles to your purchases and give back to a good cause, check out the Epic Change Gift Shop, which sells inspirational items including the peace, joy, love cards below. Epic Change says the cards' tiny little handprints belong to either Teivin, Naomi, or Pius, who are students at a school in Tanzania. Your purchase will help raise funds for the school so it can continue to make important improvements (like building a classroom and adding books to the library). 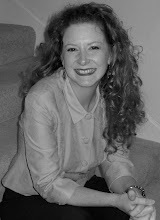 I found Epic Change through the social networking site Twitter. Through the power of social networking, the organization raised $10,000 in 48 hours to build that classroom for the school. Their website states, "Epic Change makes loans to changemakers like the school's founder, Mama Lucy Kamptoni, then collaborates with them to make their hopeful stories into income they need to pay back loans and create sustainable income streams to support their efforts. By buying these gifts instead of a fruitcake and toasters this year, you are directly supporting the efforts of a woman in Tanzania who used to sell chickens, and used her income to build a school that now serves 242 amazing kids..." including the kiddos who belong to the handprints on the cards. And here's another vintage treat, while you're shopping. 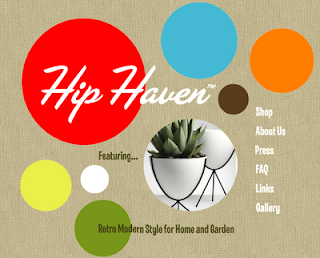 I had to save the absolutely best, most-fun-ever-shopping website for last. 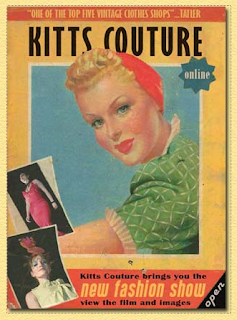 It's Kitts Couture vintage clothing out of one of the most beautiful places on earth, Cornwall, England. I am biased, I admit it. I visited the shop in Penzance last year and couldn't help but drop a few hundred pounds there. Unfortunately, even that didn't get me into the size 6 vintage dress that was said to be hand-made by a famous designer whose name I've blocked from memory for sewing something so damnably small. Size 6 in the UK in the 1960s is NOT the size 6 you find today in the U.S., ladies, so be forewarned. All that aside, this website is simply fantastic. It's well-done -- entertaining from front to back, and you can buy things to boot! What's not to love about that? Anyway, Happy Cyber Monday everyone, and safe shopping. And if you wind up buying anything from the vintage gals, tell 'em Charlie sent you. In this country, tradition is king on Thanksgiving Day, but in my house, I'm plotting a coup, with a flabergastingly yummy new dish featuring a canned staple that I have only recently encountered. 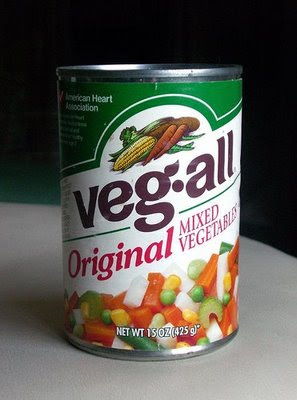 Turkey eaters of America, say hello to my little vegetable friend: veg-all. Life is full of wonderful surprises, especially for this Thanksgiving traditionalist. As long as I've been cooking my own turkey, I've dutifully delivered our family's tried-and-true crowd pleasers to the table -- dishes that might sound familiar: Roast turkey and stuffing, mashed potatoes and gravy, piping hot white-bread rolls, green bean casserole, candied yams, and cranberry jelly (whose mold bears an uncanny resemblance to, well, a can). In my family, there has always been, and will always be, a crystal bowl filled with large, pitted black olives, which has to be replenished at least once before dinner is served. The instructions for eating said olives are as follows: Locate olive bowl on table. Loiter aimlessly within arm's reach of said bowl. When no one is looking, swipe a handful of olives. Stick index finger inside hole of first olive. Wiggle finger. Repeat with other fingers until you run out of olives or fingers. Wiggle fingers. Eat olives. Repeat. Mix together all the casserole ingredients, and pour into an oven-worthy pan. In a separate bowl, mix together the melted butter and crushed crackers. Sprinkle the cracker mixture over the top of the casserole. Bake 35 minutes total: Covered for the first 25 minutes; uncover for the last 10 minutes.